For a Diesel Service in any suburb, search listings for Diesel Service Ballina, Diesel Service Casino, Diesel Service Lismore, Diesel Service Tweed Heads, Diesel Service Yamba and more suburbs across Australia. Find a Diesel Service for you. If you have a budget pay below the average cost for any of your diesel service needs by searching Nbtrade.com.au directory. For repair services on Diesel Fuel Pumps and injectors, tuning, turbo charging or spare parts we provide businesses that test, calibrate, repair and service to your needs. For all jobs, stop avoiding and get it done today with diesel directory. We specify only the most popular and trusted diesel services in your local area. We have diesel service listings Nationwide making Nbtrade.com.au online directories an easy and sufficient tool for browsing contacts and comparing specialties. 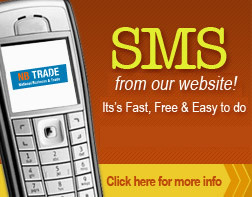 Email or SMS straight from our diesel service directory. Don't be bombarded with misleading afvertising, confusing claims and simply bad informations. Nbtrade.com.au provides all the information you need. From contact details to specialties. Helping you source diesel services of the highest quality of care. Look no further then Nbtrade.com.au with the best and the most popular in out local area. Search Diesel Service Lismore, Diesel Service Casino, Diesel Service Ballina, Diesel Service Tweed Heads, Diesel Service Yamba and more suburbs Nationwide.